Mission Trips. What comes to your mind? I can sum up my experience with these trips in two words: life-changing and once-in-a-lifetime. That’s right, I set the bar pretty high, but let me explain what I mean. In presenting these trips to teens and parents each year, these are the two words I continue to come back to over and over. Life-Changing. It is rare that I see a teen, who has gone through training with the proper attitude and teachable spirit and that does not experience some type of spiritual life change (Barna Research agrees). Once-in-a-lifetime. How could I make such a claim? Well, ask your parents, how often do you get to go to camps to serve for a week as an adult? How often do you take international trips to Japan or Mexico? Well, when you put it like that…I guess these trips are really Once-in-a-lifetime. So what about Evangelism? How do you prepare the students to evangelize? What tools have helped them feel equipped and ready to share the Gospel? 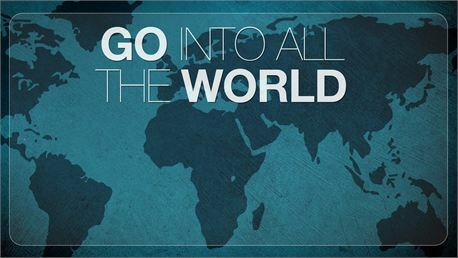 Here are steps to preparing your teens for evangelism for a mission trip. Can I Get a Witness? You guys know this generation. It thrives on community, relationships…while previous generations were centered on knowledge and facts…this generation seeks connections and a cause. Well, that’s what a testimony can bring. So, as part of your mission trip training, teach them how to give their testimony. Both kinds of testimony – the obvious one and the most precious – when they gave their life to Jesus Christ. But there is another – the testimony of what God is doing in their life now. TEACH them how to develop these testimonies. Have them write them out. Have them share them with the group, with family, with friends…publicly in church or with in conversation with unsaved family & friends. Fool’s Gospel. Make sure you are on the same page on what is the true Gospel. There is some confusion as to what the Gospel is out there. Guess what? The Gospel is not giving to the poor, the Gospel is not helping your community…those are things that can lead people to the Gospel or can show the love that is in the Gospel…but not the Gospel. The Gospel in a nutshell, is the Good News that Jesus, God’s only Son, who did not sin, died a painful death on the cross, to pay the penalty of sin, and provides forgiveness & eternal life in heaven for all those that repent and trust in Him. It is not what we have done, but is all about what God has done in the finished work of Jesus…Our students need to know this. Tools For Success. It is important we do not set our teens up for failure. So, it is important we give them the tools to succeed. For example – Wordless Bracelets, E3 Bands (My favorite), or 4points. Have students wear these AND teach them how to use them. Provide training on each color, what it represents, verses of support, and illustrations. Practice within the group. These bracelets have been so effective – I’ve had some of my students use them at children’s ministry events this year. They set up a table and make the bracelets & share the Gospel with them. All because they were given the TOOLS to succeed. I don’t want these teens on the mission trip fishing with no bait on the hook. With nothing to fall back on when they get nervous. Disclaimer: Make sure your students are evangelizing at home too, and not just on the mission trips. Remind them that every step they take is on the mission field. Something you will hear me say often in reference to short-term mission trips (Barna research has my back on this one), “There is no lesson I can teach or event I can plan that can do what a short-term mission trip can do”. What I mean by that is this, the spiritual life change, the comfort zone breakdown, and the transformation that I consistently see result from these trips…it is hard to reproduce, and it certainly should not be replaced in our youth ministries. Preparation is Key. What if a doctor never studied anatomy…what if a bungee jump operator didn’t learn to tie a knot…what if a hairdresser never went to cosmetology school….the answer, they would cause a lot of damage! And same with mission trips. If you don’t prepare well in advance, you may just cause more damage than good. Give Expectations Up Front. This isn’t a come to the meetings when you feel like it experience. Each potential team member goes through an interview & application process. As part of the interview, the applicant is given, in detail, all the expectations of the trip, from behavior to training requirements and assignments. Train Them. Soon, I will need to write a detailed list of the mission training, but here are some highlights: read a book together (ex. Crazy Love, Do Hard Things), unity training (see #5), mission training (curriculum like Prepare.Go.Live), Personal Evangelism Training, Guest Speaker with Professional Training, Trip Presentation to Church, Group Practices (Drama, Crafts, etc. ), and accountability (see #4) to name a few. Keep Them Accountable. They know the expectations (see #2), so keep them accountable. Each time we meet for training, the team is asked about their church attendance, daily time with God, homework, and team responsibilities. Sure, they miss every once in a while, but if it happens twice in a row, the student in warned, and extra assignments follow. If it continues, a meeting the parents and possible dismissal from the team. Behavior can also be a means of dismissal as well. Work on Unity Early. You may thing unity exercises are silly, but you will thank yourself later if you start them early and often. The transformation I saw from the first time we did the exercises to the last day, it honestly gave me goose bumps to see the difference. It was because we worked at it. Open Their Gifts. Something we do during training is a spiritual gift inventory and assessment. Following that, I give each student responsibilities based on their gifts. Ranging from team encourager to teaching team, each team is given responsibilities, but because their jobs are connected to their spiritual gifts, it allows them to have a better chance of success, and less chance of frustration. Raise the Ante. One year I walked out on a limb and had students be in charge of certain groups and given leader responsibilities, such as drama leader or music leader. Sure, I gave them guidance in the process, but I raised the bar in the preparation process, and boy did it pay off! I saw some amazing leadership growth in those students. Never Underestimate a Teenager. I can remember a shy 9th grader coming into my youth group. He usually sat quietly during events & lessons, saying very little. Well, as the years went by he began to grow, but still had a quiet, shy nature. During his senior year, he signed up for the mission trip to Spain. He was the sound/media leader, which fit his personality. But, I felt he needed more, so I gave him the task of learning a magic trick for the park presentation. That same shy, quiet 9th grader, I got to see him do a magic trick in front of hundreds of people, and use that trick to share the Gospel. NEVER underestimate a teenager…give them opportunities, and push them to new heights in their spiritual lives! Life Transformation. As I mentioned in the intro, there has not been a trip that has gone by that I have not seen at least one student’s spiritual life dramatically change as a result of the trip. There has been dramatic change (not just a mountain experience either) that I have seen in students. Students taking their summers to go back to the mission field we went to on the summer before or students saying they want to work at the mission we served at after college graduation. What a blessing to see lives changed! That makes the effort that goes into #1-9 worth it. Special thanks to my youth pastor growing up who taught me many of these lessons early, so I didn’t have to learn the “hard way” all the time. Love you PK!